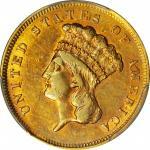 Lot:3016 1882 Liberty Head Quarter Eagle. MS-64+ (PCGS). CAC. 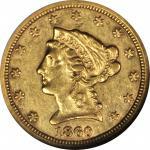 1882 Liberty Head Quarter Eagle. MS-64+ (PCGS). 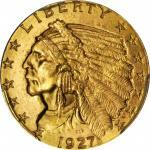 CAC.A breathtakingly beautiful example of this elusive key date entry in the U.S. Mints classic gold series. Bathed in warm medium orange patina, both sides are fully struck over even the most intricate design elements. Semi-prooflike in finish, as are many survivors of this low mintage issue, with lovely surfaces that border on full Gem quality. 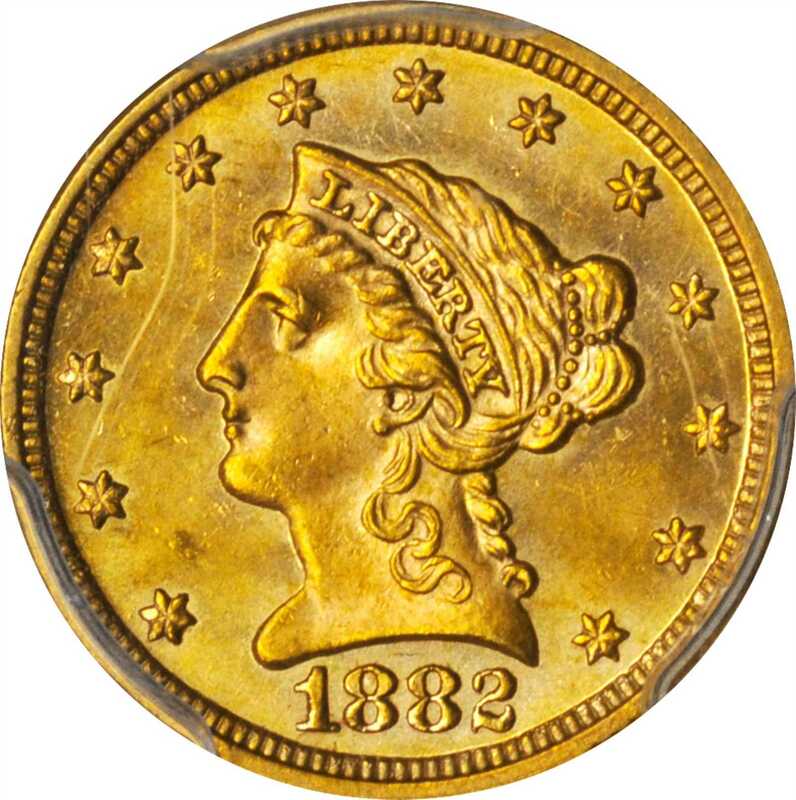 Among the more desirable Philadelphia Mint Liberty Head quarter eagles, the circulation strike 1882 was produced to the extent of just 4,000 coins. Most survivors, which are scarce, grade AU or Mint State -- coins that were undoubtedly saved from melting by numismatists like Thomas L. Elder. 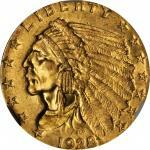 Rare from a condition standpoint, this upper end MS-64+ would serve as a highlight in an advanced gold cabinet.